We’ll be traveling to the shores of Lake Altaussee to photograph a real couple in full bridal attire. The shoot will take place at the edge of the lake and we will wrap up the day with a sunset shoot at the Panoramastraße viewpoint. On both days our styled shoots will begin with bridal prep and we encourage our photographers to photograph the bride as she sits for her hair and make-up. We’ll then head out to a nearby wedding venue to capture the couple in full bridal attire. Following a short break for lunch, we will then move onto location — Hallstatt on day one and Altaussee on day two — for a romantic shoot featuring a real couple. On each day of the shoot, you’ll be able to take pictures for a minimum of five hours, giving you plenty of time to take plenty of photographs without having to rush your creativity. On the second day of the shoot, we’ll have a fully styled table filled with items from local suppliers to give your images a unique, contemporary edge. After lunch you’ll also be invited to take lifestyle shots, featuring the couple in casual clothes. We want to help you craft a portfolio filled with a beautiful variety of gorgeous images. That’s why we’ll also engage a different couple for each day, giving you the opportunity to work with a broader selection of models. Photography of bridal prep at apartment in Hallstatt area. Travel to nearby wedding venue outside Hallstatt for photography of bridal. 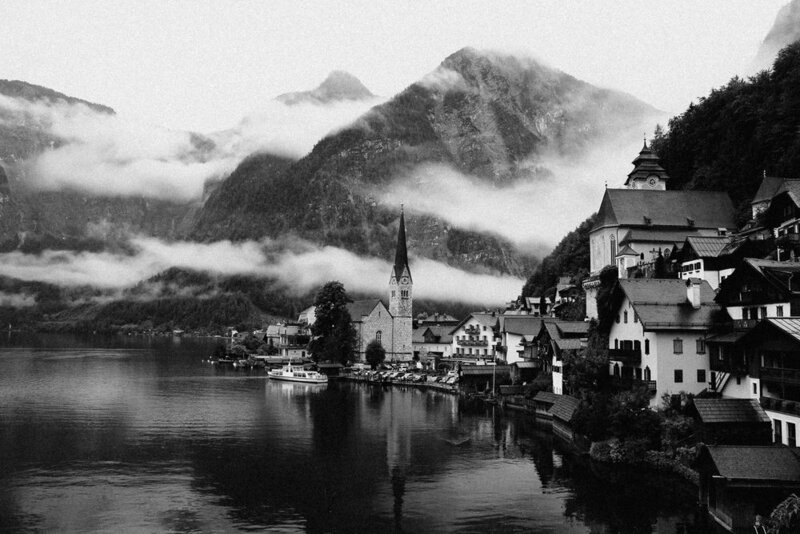 Travel to location in Hallstatt for further photography of bridal by the lake. Photography of styled table at nearby indoor wedding venue at Altausee. Lifestyle shoot at nearby viewpoint (Casual clothes). *Full list of suppliers, confirmed itinerary and the models will be released soon. 90° East is all about developing your skills in a relaxing and welcoming environment. We invite photographers of all levels of experience from anywhere in the world to join us. We do not offer any tuition on our shoots but we do offer the opportunity to share knowledge and ask plenty of questions. Please view our terms for more information. Included - Welcome pack, full itinerary as soon as confirmed. Breakfast and lunch on both shoot days. Not Included - Travel, transport or accommodation*. By making a booking you are agreeing to our terms and conditions. Early Bird tickets will be available for a limited time only. *Travel and accommodation are not provided but we will be happy to offer you assistance in planning your trip to the shoot, including helping you organise car shares if needed and recommending nearby accommodation options. Thanks for signing up! We will add you to our mailing list and you’ll be the first to know when new shoots are announced! In the meantime you can follow us on instagram! Photo credits - Francesca Cioccio, Francesco Ungaro, Pietro De Grandi, Tom Grimbert, Luca Bravo, Yeo Khee, Sebastian Pichler and Majkl Velner - Thankyou.